In may of 2004 we, myself and my wife, took a trip to the Four Corners region of the South West United States. It was the first trip after my wife had moved to southern California from Hawai'i and hence, the first trip where I had a companion from door to door. We flew into Albuquerque, the cheapest airport to fly into in this region. After spending a night in a run down motel, we drove to Canyon de Chelly National Monument in Arizona, New Mexico border some four hours from Albuquerque. Canyon de Chelly - pronounced as Canyon de Tsheyi and means "rock canyon" in Navajo - was the final frontier of the Navajo Indians before they were literally knocked off from their fortified locations by the Spanish cannons. We drove along the north and the south rim of the canyon stopping at various overlooks. The most striking of the viewpoints was the Spider Rock Overlook, where we saw the 800 ft spire made famous by many old Western movies. We also walked the only available unguided trail in the park, the trail to the White House ruins - one of the most photographed Anasazi cliff dwellings - located on a cliff surrounded by interesting water marks. We drove a couple of hours to spend the night in Durango, an old mining town situated at the foothills of the Rockies. Durango is a must visit for all train lovers. 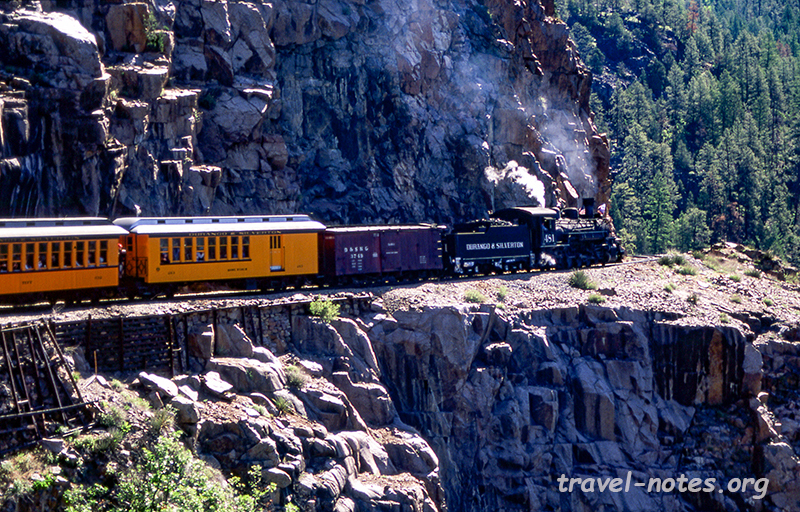 It is the starting point of the famous Durango to Silverton Narrow Gauge Railway. The train crawls between Durango and Silverton covering the 45 mile distance in little over 4.5 hrs. The stunning scenery of the Rockies, especially before the summer sun had melted the snow on the peaks, was worth the slow grind. We traded the return train journey to a faster route over the asphalt. That saved us precious daylight hours which we used up to drive to the nearby Mesa Verde National Park and see some of its ruins. 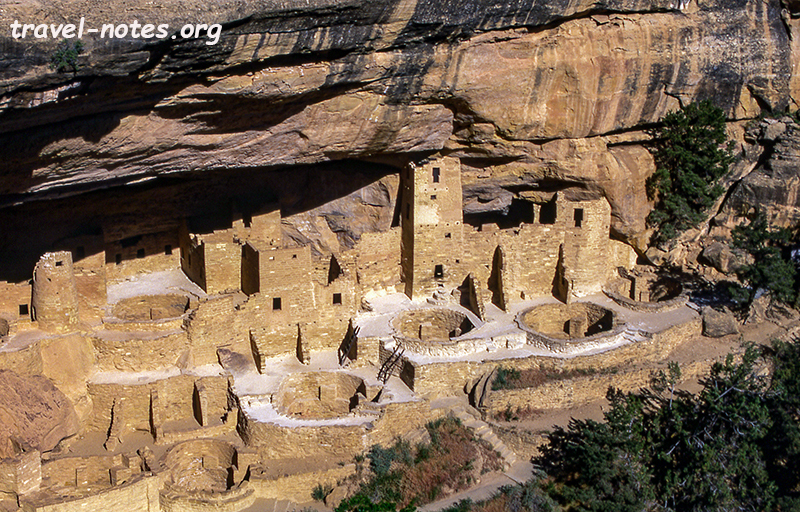 Mesa Verde is the only National Park in the US created to preserve man-made objects as opposed to natural. 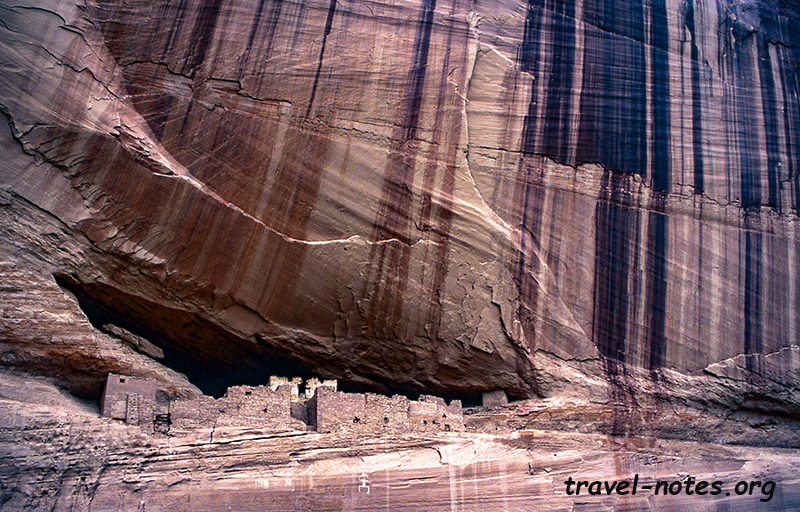 The park houses one of the best preserved cliff dwellings in the nation - most of which was built during the 13th century AD - and also some primitive pit-houses built about 700 to 1000 years earlier. Unfortunately, some of the dwellings could be visited only on a guided trip, luxury of which was out of our reach due to time constraints. We more than made it up by visiting all the other open sites. The pick of the sites were the Cliff Palace, Step House and the Tower House. After spending most of the next morning admiring the dwellings, we rushed back to Albuquerque just in time to catch our return flight. Click here for more photos from Mesa Verde National Park. 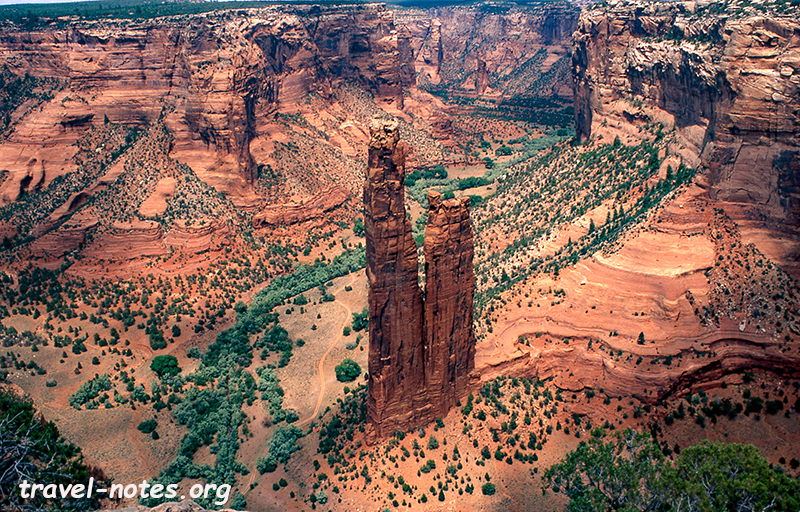 Click here for more photos from Canyon de Chelly National Monument. Click here for more photos from Durango to Silverton Scenic Railway trip.